Ruggedly built with double-flex temples to withstand the stress of life on the edge, Windjammers provide the ultimate in protection from wind, dirt and rain. You'll look great in your windjammers! 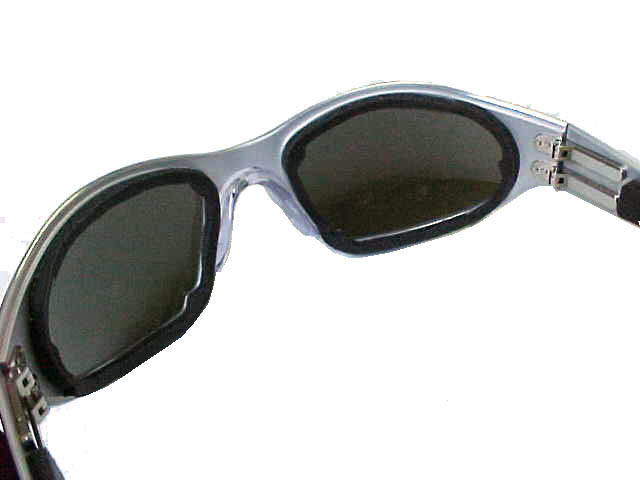 Deluxe windjammers available with anti-fog lenses and cushions for wind resistance! Deluxe Windjammers feature cushions and anti-fog lenses. Click the image to view a close-up! Brushed Aluminum, Black, Polished Aluminum- Also available in assorted custom colors. Choose from five interchangeable, scratch resistant, polycarbonate lenses... optionally available with anti-fog coating. Gray blocks the same amount of light at all wavelengths and permits accurate color recognition. Excellent general-purpose lens. Brown provides consistent vision over changing terrain, strengthens contrast and highlights details. Recommended for use in hazy conditions. Yellow provides better perception of detail. Ideal for dim or foggy conditions. This color filters out most of the blue light. Not a sun lens. Silver Mirror provides an additional touch and even enhances protection capacity by complementing the filtration provided by the base grey lens color. Clear provides maximum visibility and protection from wind and airborne particles needed for after dusk sports when filtering light rays is not needed. 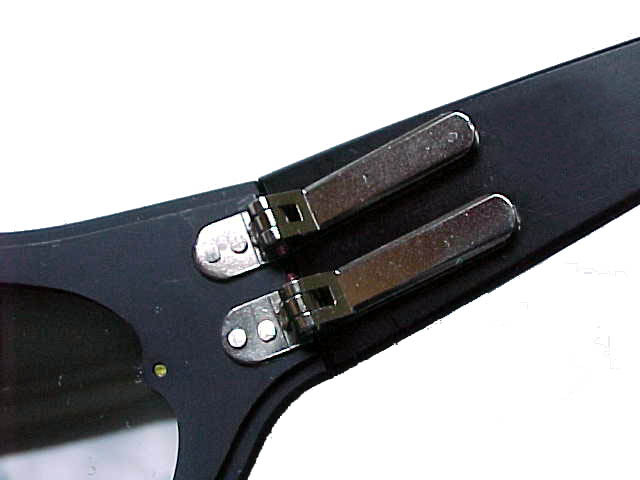 All lenses supplied with IBEAMS are highly durable, scratch resistant polycarbonate. They exceed the international standard for optical properties and absorb 100% of harmful UVA and UVB rays. Each pair of IBEAMS is packaged in a unique protective case with straps or a clip to attach to bike handle or belt. Extra or alternate color lenses can be ordered direct from the factory, or from your IBEAMS dealer. Copyright © 2000-2005 IBEAMS®. All rights reserved in all media.